This spectacular presentation explores the volcano belt known as the Ring of Fire. 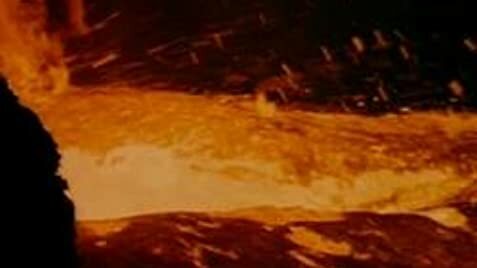 Breathtaking cinematography displays close up shots of past and present Pacific Rim volcanoes from Chile, USA, Japan and the Philippines. First, I have to say that I'm really not a fan of documentaries, and in general they put me to sleep. That said, IMAX films are some of the only documentaries I've ever been able to sit through. Part of that, perhaps most of it, is their extraordinary presentation. It's a terrific format, and the films made for them are usually well put together. 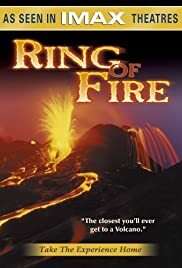 RING OF FIRE is such a film (at least in it's original IMAX format - I have not seen the DVD). The title refers to the ring of volcanoes on the Pacific Rim, not a hard subject for me to be interested in to be sure. The narration is genuinely informative if not all that exciting. But it's the cinematography that really makes RING work. The combination of great camera work, and the format itself, was immersing. Short of visiting these volcanic sites (and I'd imagine at some personal risk), I doubt a better experience could be had on the subject. You can forget all that stock volcano footage you've seen before, RING has all that beat, hands down. If anything, the film's 40 minutes just isn't long enough for me. But even modern IMAX work like James Cameron's ALIENS OF THE DEEP run about the same length. This most likely is due to the expense of shooting the format, but it's still unfortunate. Also, I'm not sure if this can even be seen in an IMAX theater these days, and it will certainly lose much of it's impact on DVD. In comparison, IMAX has done a couple of other films (on the space shuttle and the ISS) that I found superior to this one overall. But as documentaries go, RING OF FIRE is still quite good, and certainly worth the time. 7 out of 10 stars.